Diane von Furstenberg one-piece swimsuit in solid microfiber with striped edges. For in-store inquiries, use sku #2250110. 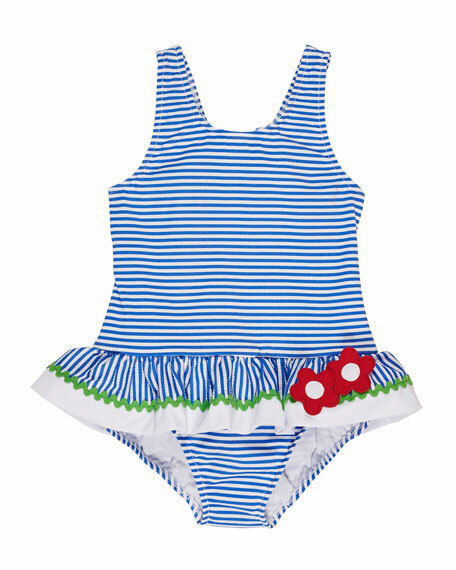 Florence Eiseman striped seersucker one-piece swimsuit. Scoop neckline; cutout back with bow. Wide straps. Ruffle trim with flower appliques. Full seat coverage. Nylon/polyester/spandex. Imported.